Why should I choose recycled furniture? perfect way to save some money and the environment. Moreover, you create your own unique furniture that nobody else has. So let's get started and create your own unique furniture pieces! 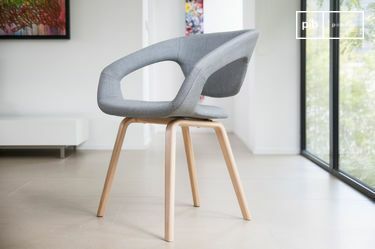 One of the latest trends in the furniture industry is that furniture is refurbished more often, and there are a few good reasons for it. This trend saves among others your bank account as well as the environment! 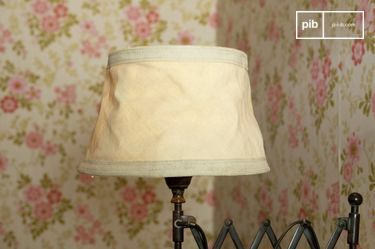 You can give old pieces your own personal touch by recycling or refurbishing them. Of course it is very important that the pieces will integrate nicely into your interior, that is the reason why you have to think wisely about the different finishes and materials that you can choose from. You can find old furniture at flea markets or at thrift shops, but look into the garages of your (grand)parents, maybe you will find some treasures there as well! 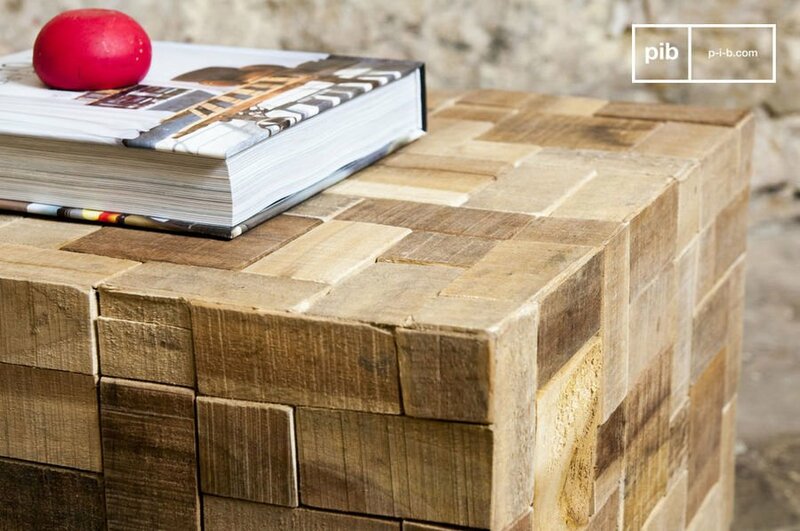 A lot of materials can be recycled, and used to make beautiful furniture pieces. 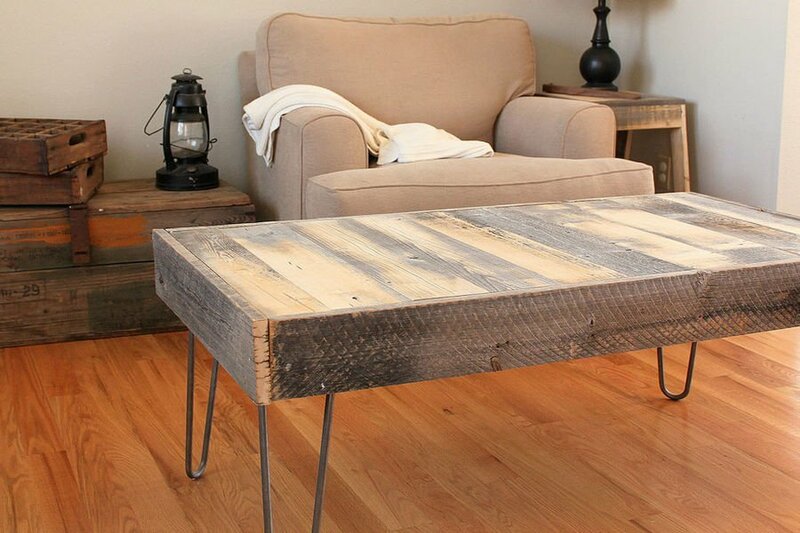 You can use pallets for example to make a coffee table, a headboard for your bed or even a bed. However, you can use other types of wood as well to create wooden furniture for example. 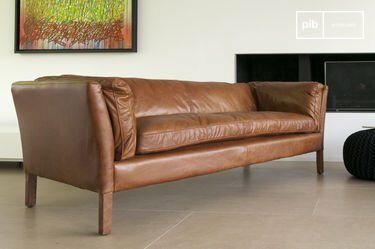 Leather, metal, and textile is also great to create new furniture with. A lot of furniture at PIB is made of recycled furniture, you can think of teak, pine and even oak. 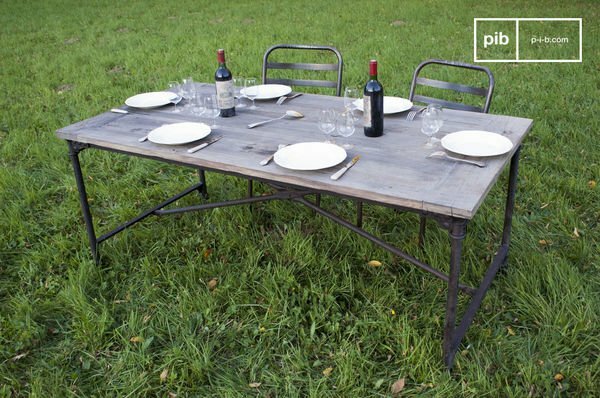 The beauty of recycled materials is that they often have usage spots and traces. This gives you the idea that the pieces have been used with lots of love. 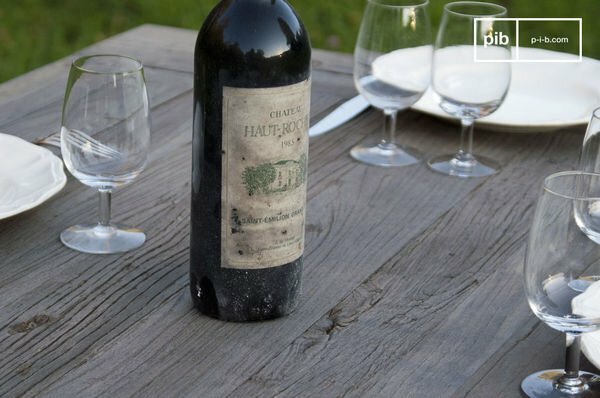 Moreover, the wooden furniture from the shabby chic collection are often made of reclaimed wood. When you are moving to a new house it is very important that the interior style will match with the architecture. Retro pieces are a good choice for a house that was built in 1920. You can also choose to create a beautiful balance between the architecture, and the style of the interior. You can choose for example to place a modern scandinavian coffee table in front of an old-fashioned fireplace. To give the living room a finishing touch you can choose for a large vintage retro sofa decorated with a lot of cushions and rugs. A lot of times people think that refurbished furniture are replicas from popular pieces of furniture from different eras, but this is not the case. The aim of refurbished furniture is to recycle old materials instead of using unnecessary materials. Refurbishing furniture is more than just giving it a new color, it is about being creative and original. These two elements are essential to create a new beautiful piece of furniture. Be creative and experiment with different colors, materials, textures and styles. Nothing is too crazy! You can choose for example to place a rug and an upholstered vintage bench on a cement floor. This creates a nice balance, and the bank and rug make it very cozy. For a long time, the kitchen was primarily a space that was hidden and only used for its practical aspects. This idea originated from the 60s, and that is the reason why most of the designers and architects has little interest in the kitchen. The average household had a very simple kitchen with no atmosphere; the kitchens were not inviting at all. After this period the kitchens became bigger, had rounder forms, and more colors were added. 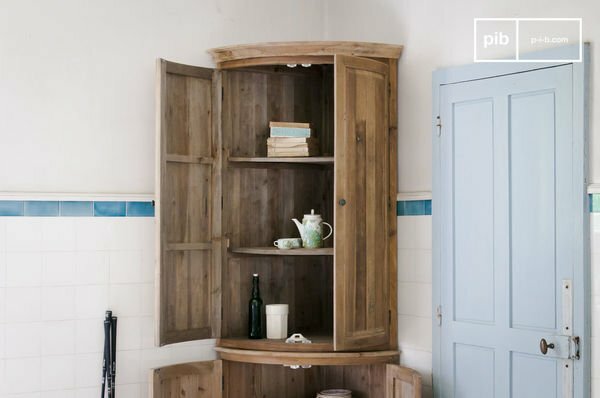 Around cupboards with colorful doors became the standard, and this trend is called the retro style nowadays. Over time things have changed, the kitchen is now seen as the middle point of the house, and that is why we see an open kitchen more often. An open kitchen makes it easier to merge it with the rest house. When you choose for an open kitchen it of course has to integrate in the overall style of the house, and this is the reason why more and more attention is being paid to the design of the kitchen. People considered the open kitchen for the first time during the eighties. This concept was only used in factories that had been converted to houses, also known as lofts. Moreover, recycled furniture pieces were also most of the time used in lofts. 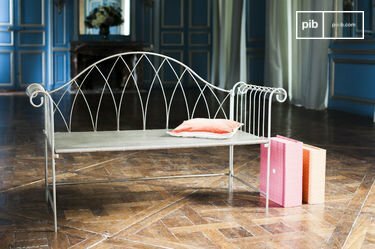 These furniture pieces mostly had an industrial or shabby chic style. Old factory lampes in an industrial lighting style for example were often used, as well as the industrial table. Just like every other trend, the shabby chic style became less and less popular. Especially around the millennium people preferred having new modern pieces of furniture. 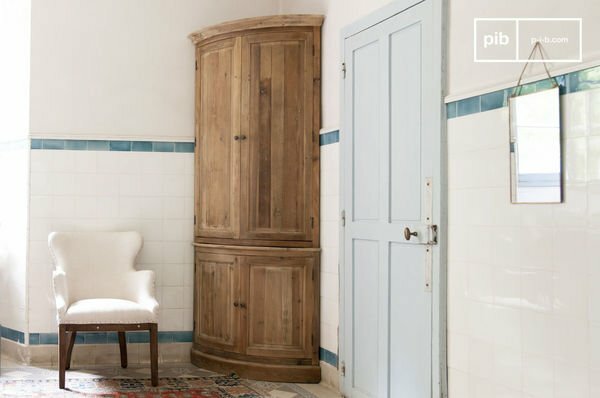 Nowadays, we luckily see that people are choosing more often for the shabby chic style, and we can totally understand why!